Visitors can view the antique autos and meet their owners throughout the day while the cars are on display on the Old Sturbridge Village Common. The day’s highlight is a grand procession through the Center Village at 3:30 p.m. 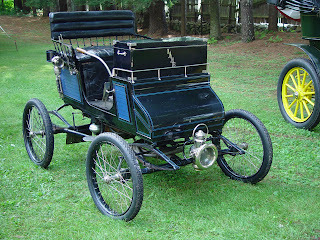 The oldest car on display will be a 1901 Lane Model 0 Runabout, owned by Arthur Eldredge, Jr. of Peterborough, NH. The antique auto was acquired by his father in 1951 and restored over the course of 24 years. It is one of only two cars made by the Lane Motor Vehicle Company known to exist – and is the only one that still runs. 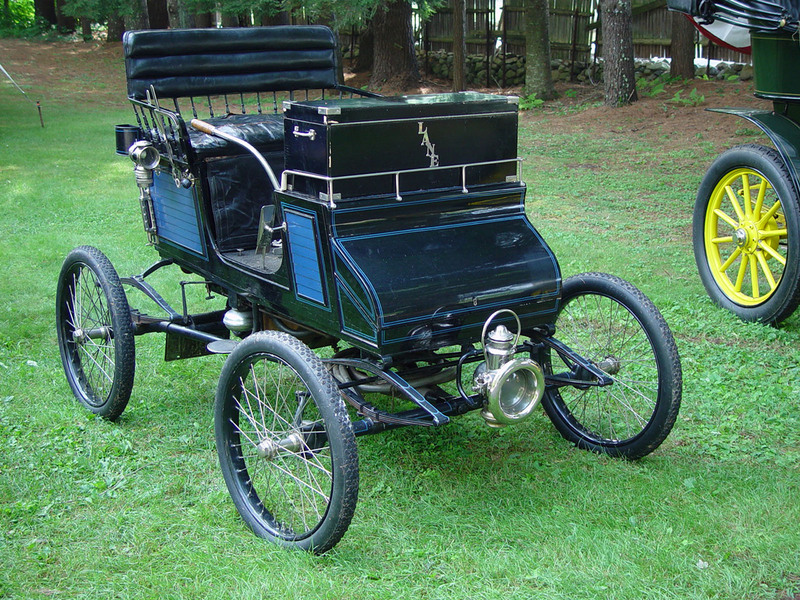 The other known Lane auto is a 1910 touring model that was formerly owned by the Ford Museum. Lane-manufactured cars were produced in Poughkeepsie, NY from 1900 until 1911 and were tiller-steered until 1904. The high point in their production came in 1909 when nearly 150 cars were produced. The Lane vehicles were steam-powered or “steamers.” A gasoline-powered burner converted water in the 17-gallon tank to steam and propelled the car for 20-25 miles. The Antique Car Rally falls just four days before OSV’s 65th anniversary. Old Sturbridge Village opened to the public on June 8, 1946 and welcomed 81 visitors, who toured the Village in their cars and paid $1 admission each. A total of 5,170 visitors came in 1946. Just eleven years later, the one millionth visitor was welcomed to OSV. Last year, more than 270,000 people visited. Old Sturbridge Village grew from the personal collection of pre-Industrial New England artifacts collected by Albert B. (A.B.) Wells, whose father founded the American Optical Company in Southbridge, Mass. A.B. Wells and his brothers, Channing and J. Cheney, later realized that their collections should be made available to the public and began plans for a living history museum.